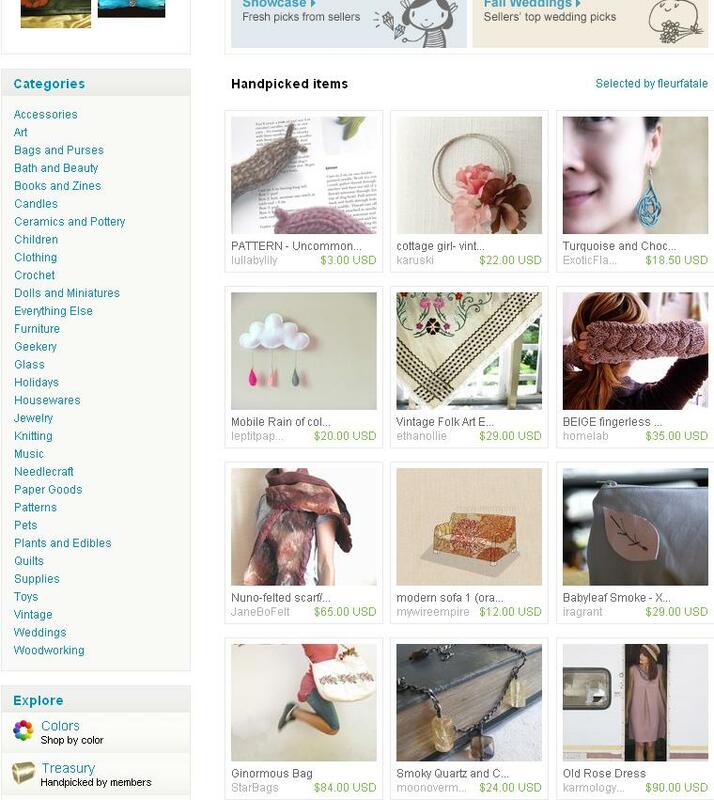 I’ve just discovered at Craftcult a trove of Treasuries featuring LullabyLily loveliness on the Etsy Front Page. Above and below are a couple of screen captures. What a piece of translucent loveliness in cool blues and zing reds. 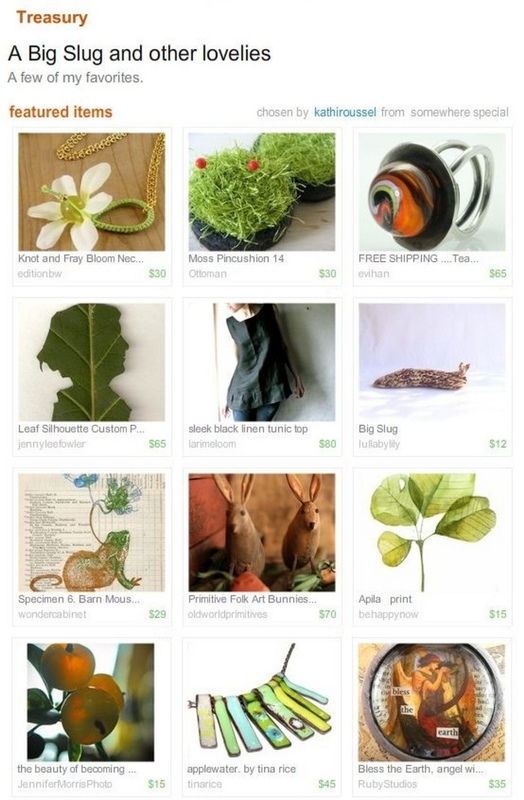 I’m all warm inside about my new Snow Slug being featured in this divine Etsy front page treasury! The Curator of this Treasury is the very talented duo behind Adatine – check out this Etsy store’s fabulous natural children’s wear and accessories for grown-ups. Oh, Dashing Donkey how urbane, moderne and definitely dashing you look in this company! Glorious Etsy Front Page Treasury composed by Illuminatedperfume, April 09. I love these delicate, fragile-feeling colors. Thank you to shavingkitsuppplies for featuring ‘bird, grace’ and also to gorgeous maker of beautiful wooden darlings, mamakopp for letting me know.